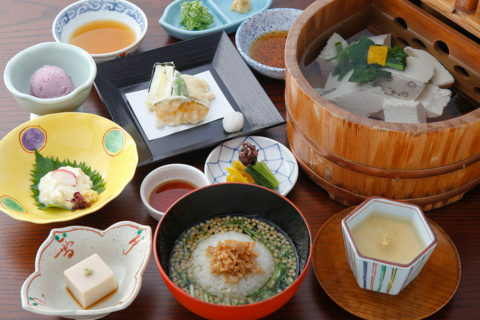 A very popular set with freshly dipped yuba and seasonal ingredients of our chef's choice. Please taste the season as you dine. 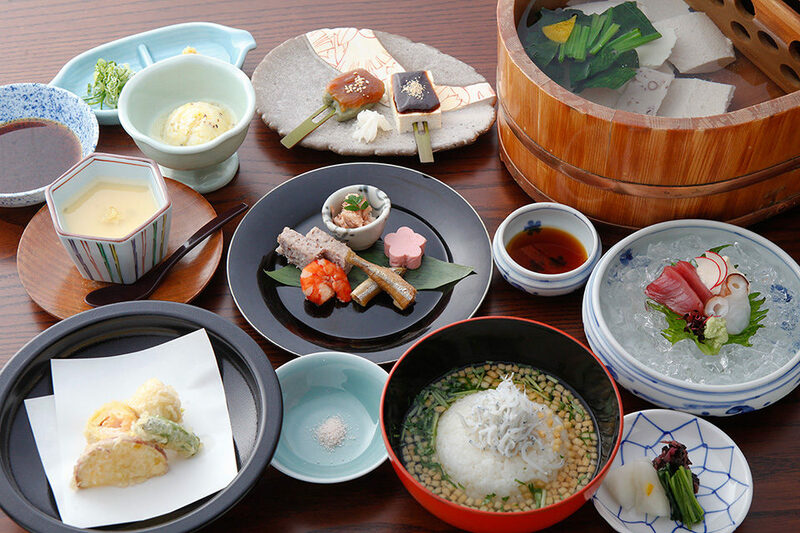 This tofu kaiseki set is limited to lunch time only. 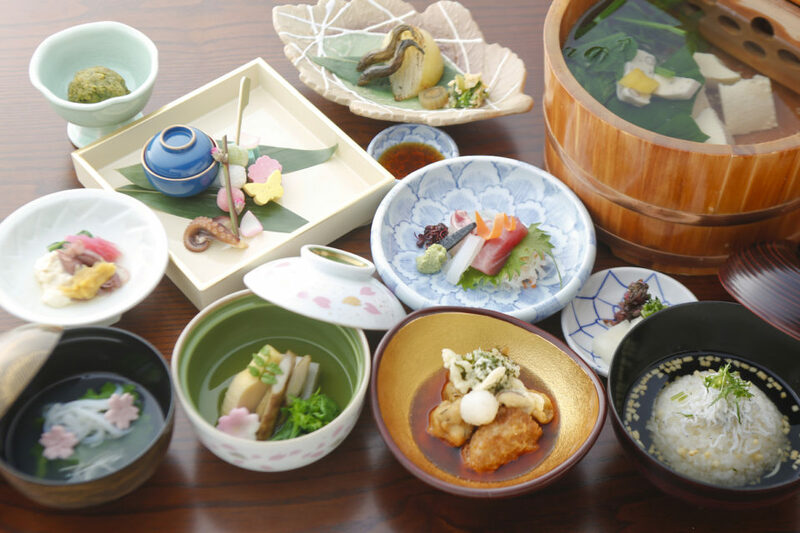 As you stroll around the old city, why don't you try our specialty tofu dishes in Kyoto's traditional house? An excellent value set with seasonal tofu dishes as well as assorted sashimi. 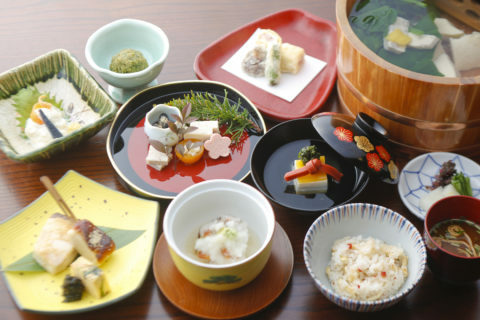 Our specialty, seasonal oboro tofu as well as other tofu dishes using fresh ingredients. Please enjoy our tofu dishes to your heart's content. *Other dishes are also available. *We can prepare dishes according to your requests. Please feel free to speak to our staff. For inquiries or additional information, please contact us by telephone. For any comments, please send us email.